Hiring an animal control company in Toronto is definitely the best thing to do when faced with a problem of home invasion by wild animals such as raccoons and squirrels. But that is only if you can afford it. 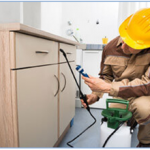 Most of the best Toronto pest control and animal control companies, such as Pestico, will tell you that the cost of removing the animals is not fixed and will vary from one home to another. The reason for this is because the total cost of the process will be dictated by several factors, the most important of which are explained below. The type of animal- some animals are easy enough to deal with while others, such as raccoons, are more cunning and not as easy to get rid of. This means that getting rid of the latter is a more complicated affair and is therefore likely to be more costly compared to the cost of getting rid of the former. The extent of the problem- in the case of raccoon removal in Toronto, it is easy to get rid of one or two raccoons, even on your own but the problem gets more complex when you are dealing with a family or army of raccoons. This will mean that more traps and deterrents will be needed in order to capture and get rid of them and that will translate into higher costs. The techniques used- keeping animals out of your compound might involve the procurement of expensive equipment and these will be added to the total costs that you will have to cover. For instance, if your compound is not fenced then it would be necessary to erect a new fences around it in order to keep the wild animals from coming back to the house and this will translate into additional expenses on your part.